It’s not often a leopard runs through the living room, but that’s what happened to a family in India recently. 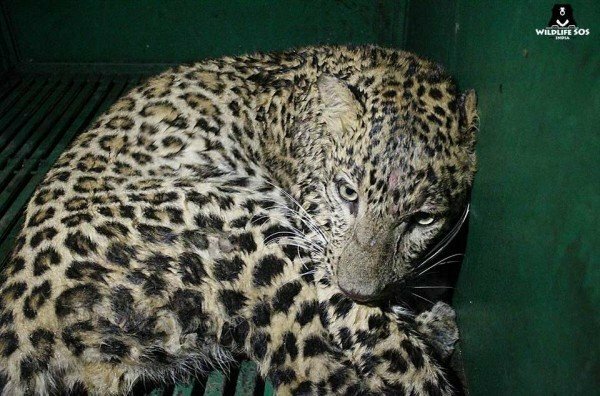 The leopard had scrambled through an open side door of a home in a neighborhood of Suresh Nagar, New Agra after getting chased by a mob of people. reports the Times of India. For the residents in the home it was quite a shock when the spotted animal screamed toward the basement. It’s there they barred the door and called the police. Law enforcement alerted the local non-profit Wildlife SOS, who arrived on the scene to find a crowd of some 4,000 people gathered around the house, reports the Times of India. The non-profit recounted its version of the story on their website. 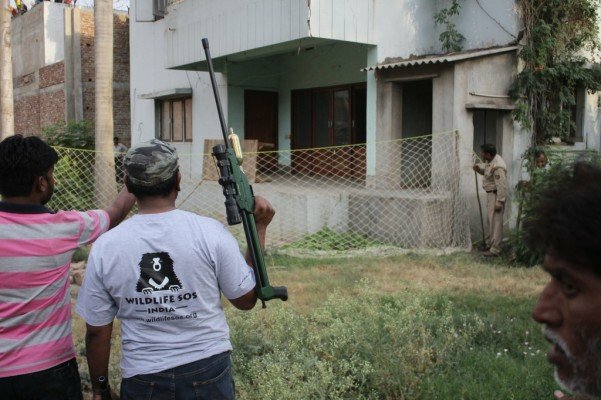 “With dart guns and tranquilizers in hand, the Wildlife SOS and forest department teams arrived at the location to find a crowd of agitated on-lookers gathered around the house the leopard had entered,” read a statement posted to the site. The first step was erecting a fence around the perimeter of the house. 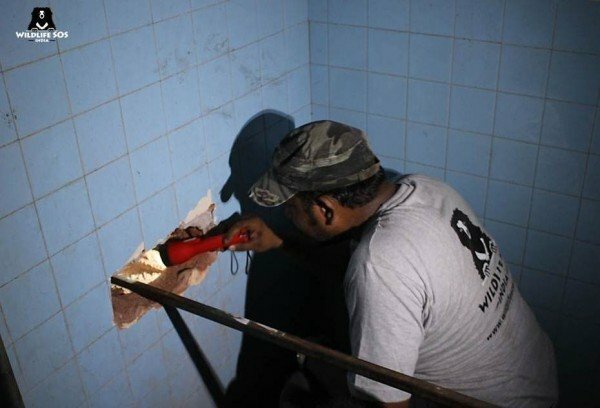 Next they drilled a hole through a wall into the basement and struck the animal with tranquilizer darts. After assessing its condition and treated a wound on its head, the leopard was deemed a healthy 4-year-old and released back into the wild. The wildlife advocates at the rescue group said the incident is a reminder of the decreasing habitat for these majestic animals. By nature, leopards are extremely shy and their primary instinct is to avoid human contact, but with unwarranted invasion of their natural habitats, the leopards find their territory and prey base depleting and are forced to seek out other means for survival. Thus, they often enter villages and small towns seeking food such as poultry or dogs. These episodes lead to man-animal encounter and conflicts. Unfortunately, incidents like this are becoming more frequent due to rapid urbanization and development taking precedence over wildlife and forest conservation in the country, thereby compromising and gradually even depriving this majestic creature of its forested home.